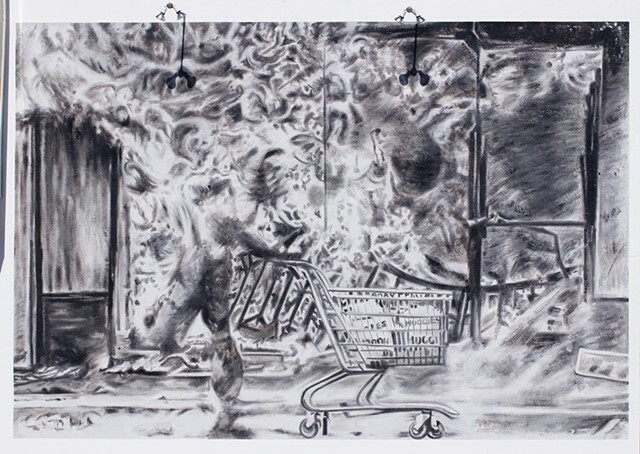 Baik Art presents an outdoor wall project Untitled (A looter wheels a shopping cart full of diapers) by Kang Seung Lee, a multidisciplinary artist who was born in South Korea and now lives and works in Los Angeles. 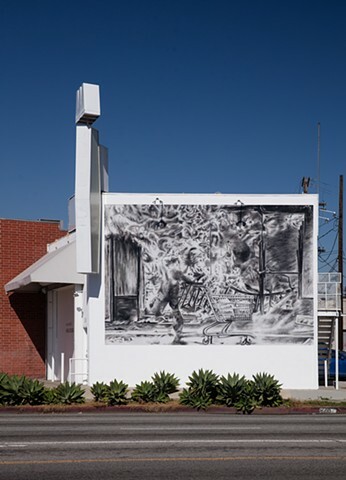 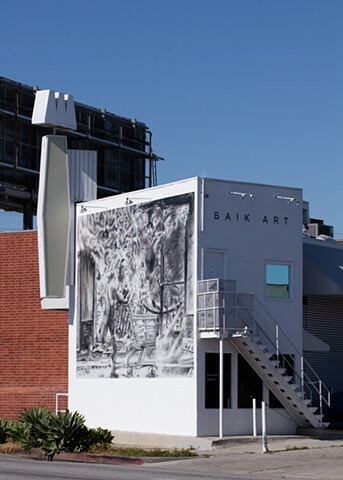 The mural, depicting a washed out figure with a shopping cart in the midst of fire and smoke during the Los Angeles uprising in 1992, was originally rendered in graphite on paper from a photojournalistic image and later enlarged and painted on the exterior wall of Baik Art facing La Cienega Blvd. 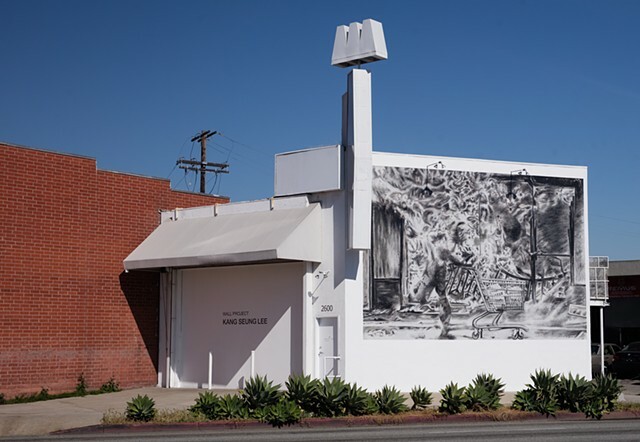 in Culver City. 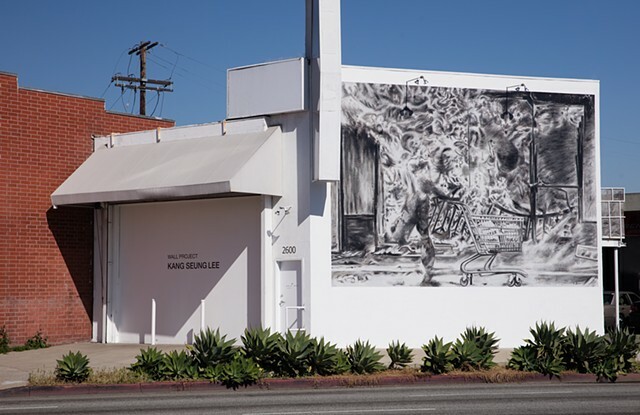 The project is on view from April 20 – October 20, 2017.